It's August, and if you feel like you’re stuck at the office while everyone else is on vacation, you’re actually not alone. American employees forfeited 212 million paid vacation days in 2017, the equivalent of more than $62 billion dollars lost in benefits, according to Project: Time Off, a coalition of organizations working to change Americans’ thinking and behavior around vacation time. 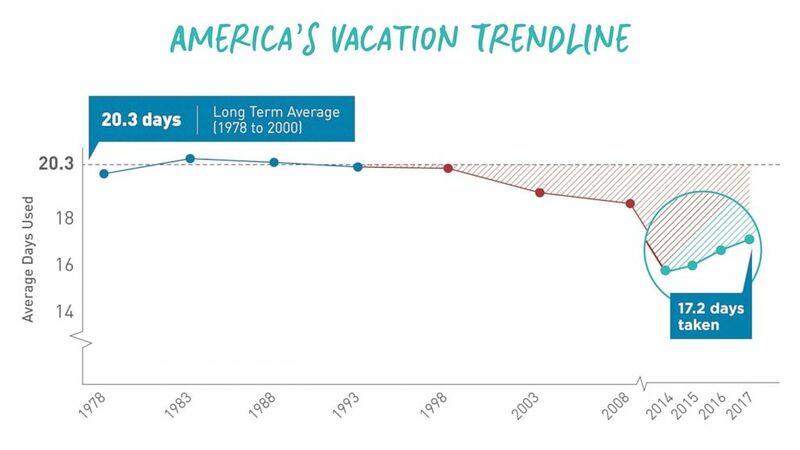 "Americans are unique in that they don't use all their vacation days [they earn]," said Katie Denis, the coalition’s chief of research and strategy. "They fear that they'll look replaceable or that they might not look as dedicated." "I think we should be concerned about what our lives look like when we don't take it," she said. 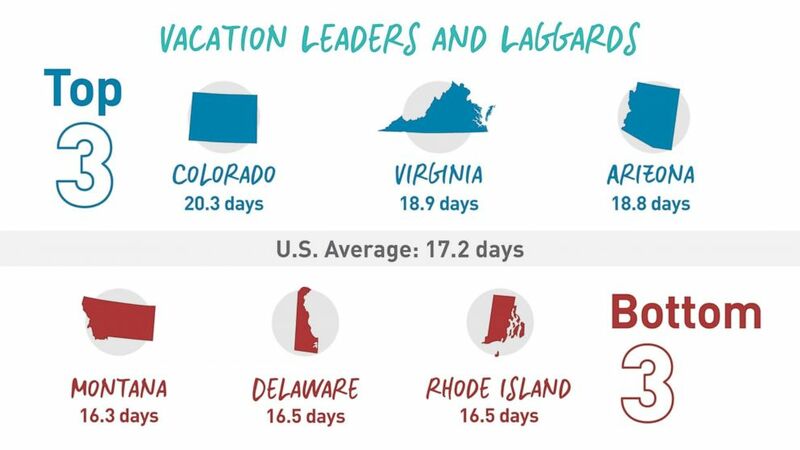 Data complied by Project: Time Off shows how Americans are using their vacation time. The health benefits of using vacation days granted by an employer include decreased stress, improved quality of sleep and a lower risk of heart disease, studies show. "When you have vacation time, you've earned it. You do have a right to use it. That's part of your compensation package," Denis said. "You earn it and you deserve it and you should take it." 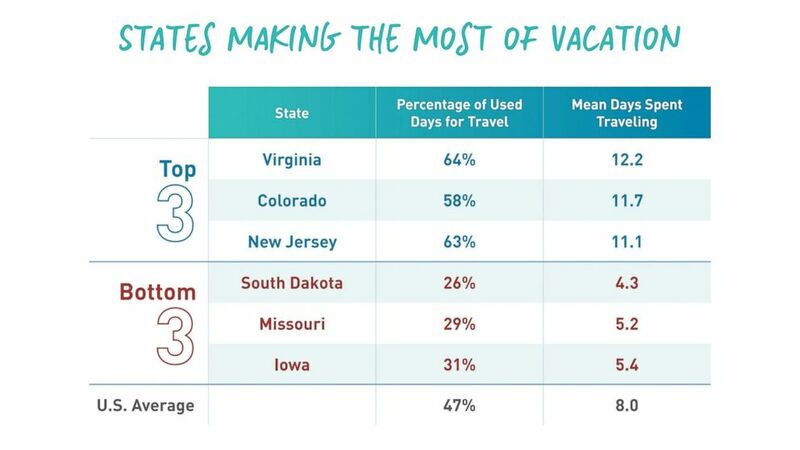 Using vacation days to not only take a break from work but to travel can also have benefits, according to Project: Time Off's data. A young woman is pictured practicing yoga in this undated stock photo. Employees who use their vacation days to travel also report being happier with their jobs and more likely to report receiving a promotion. Vacation days not only help employees, but employers too. 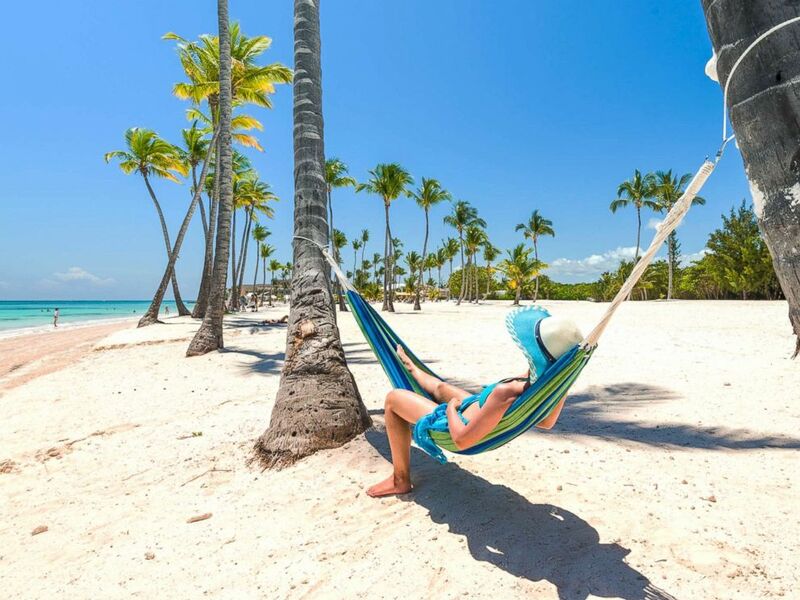 Mark Douglas, CEO of SteelHouse, a digital marketing firm, saw the benefits firsthand when he started giving his employees unlimited vacation, a $2,000 per year travel allowance that can only be used for vacations and a three-day weekend every month. "The initial reaction when we announced it was people erupted clapping and cheering," Douglas recalled. 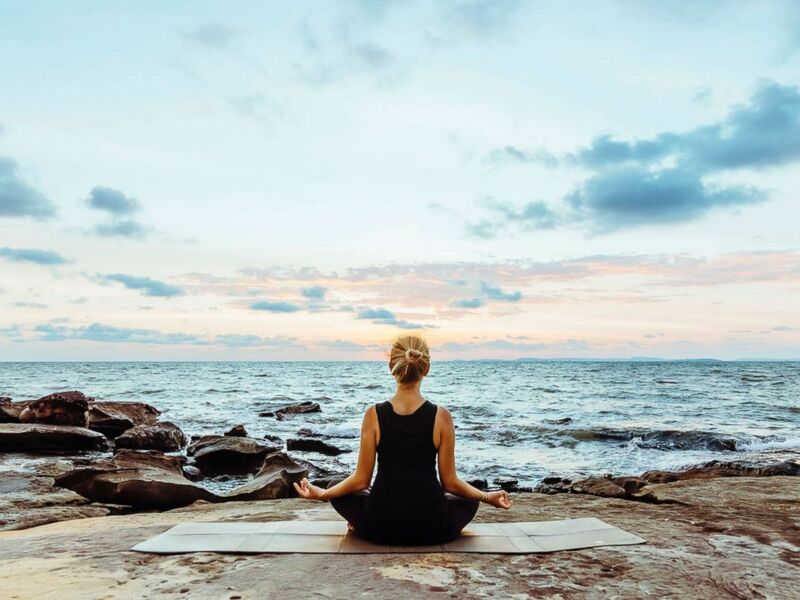 "It gave everyone a sense that the company really cared about their wellness, about their well-being, about them [and] this has really contributed to the morale." Alexa Tierney, a SteelHouse employee, said it would be a challenge to move to a job with less benefits and flexibility after four years at SteelHouse. She has also found she's a better employee. "As long as you are doing good work and getting everything done, you can enjoy your time off," she said. "My productivity is better because I had that freedom to take vacation." If you're not in a job with unlimited vacation days, you can maximize the days you have, and even ask for more, according to Denis. To maximize the vacation days you have earned, Denis recommends requesting time off as far in advance as possible. Also think about your time off as a day here and there, instead of having to take it in larger spaces of time, like a week. "Schedule a day [off]," Denis said. "It doesn't always have to be a big bucket list trip, but just do it for yourself. Do it for your family. You will be glad you did." If you want to ask for more vacation days in your benefits package, here are five tips from Denis, in her own words. Starting a conversation can be a powerful way to boost your vacation culture, which can go a long way for the company as a whole. There's nothing wrong with starting a conversation saying, "Hey, I've worked really hard lately. I've accomplished these things, and I want to make sure that I am happy here, thriving here and staying here a long time. Vacation really matters to me. What can we do to up the number of days that I'm earning?" If the policy says you get 15 days, don't ask for 50 [days]. That's going to be too much, but you could ask for a modest increase over that. If you don't get the OK on getting more vacation days when you start, set a check-in after six months or a year and say, "Can we look at this again? Can we revisit it?" That's really the time to establish that, the same way you would any salary negotiation. A woman relaxes on a hammock in this undated stock photo. The strongest information you can have isn't about benchmarks or national data or any of that. The strongest thing you can do is present what you've done in your career that makes you warrant more vacation days. It's a very individual thing. Vacation is very personal to people, and there's no reason the ask for more vacation shouldn't be just as personal. There's no right amount of vacation. It's all a matter of feel. But I would say, if you earn those days, you deserve them, you should use them and put them to good use. There's no wrong time to negotiate for more vacation days, but it gets harder if you've been there for a while. When you're going into a new job, that's the time when you've really got a little bit more power to negotiate.